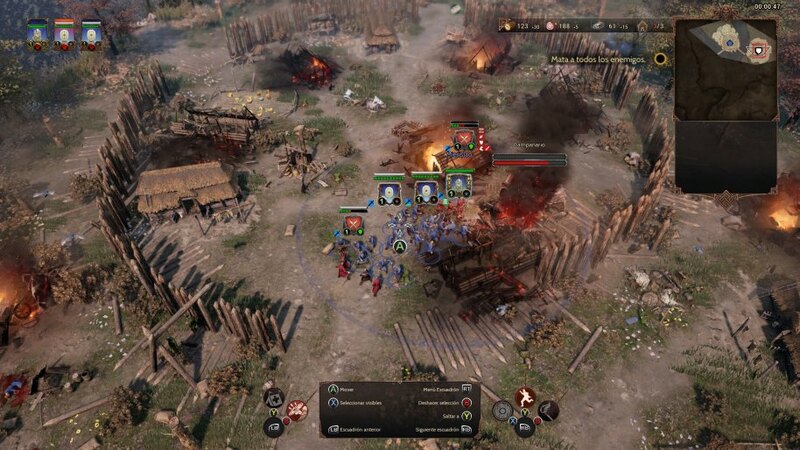 Command the fierce Vikings, lead the Anglo-Saxon armies, conquer your enemies in the skin of the Germans, or discover the fascinating history of the Slavic peoples in this spectacular strategy game by the authors of Hatred. Join the war after reading our analysis of Ancestors: Legacy. Some of you, during the live show that we dedicated to Ancestors: Legacy , you asked repeatedly, almost incredulous ! : “Is it from the authors of Hatred ? I did not expect it to be so good”. I understand the doubts. To date the work of Destructive Creations had been highlighted more by the controversy, by the use and abuse of extreme violence, than by its quality. That ended! Inspired by the excellent Company of Heroes series , but also driven by a renewing spirit, by a desire to create something new, unique, they have shaped a remarkable real-time strategy video game. 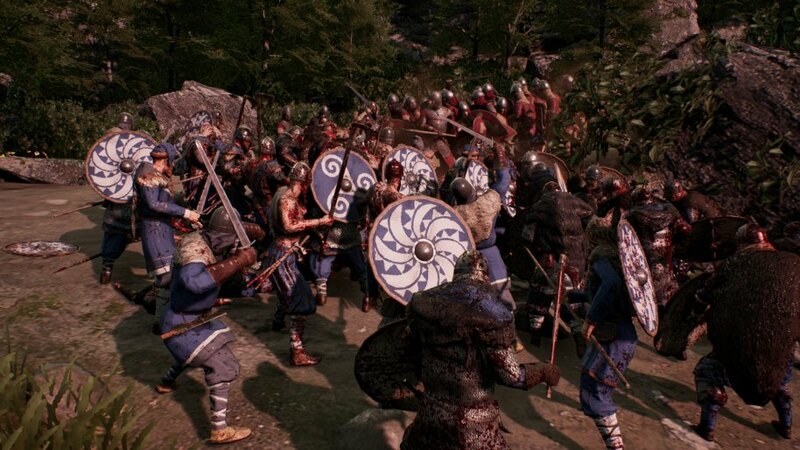 With a lot of blood !, yes, but also with a solid base of game that takes great advantage of the bloody battles in which Vikings, Anglo-Saxons, Germans and Slavs engaged during the nearly three centuries that recreates this production. The combats are exciting, spectacular! more with that cinematographic camera that allows you to enjoy the action at ground level feeling each stroke, each splash of blood, as if we were there face to face in front of the enemy; but there is also tactics , stratagems and multiple ways of facing a fight that, ultimately, is as exciting as it is fun. There’s a lot of action in Ancestors: Legacy; brutal butchery and epic pitched battles, but also resource management, troop training, construction , and a handful of special skills that will mark the differences in the hardest fights. Do not be fooled by the intensity of the fighting, the savage burdens with which the armies will cross arms. If you go crazy, if you use the typical strategy of carrying everything, yes, you may survive many battles but at the cost of losing cash in a video game that precisely seeks to give troops the importance they deserve. They are not simple numbers; They are not pawns to sacrifice because they are a precious asset that you can not always replace with ease. 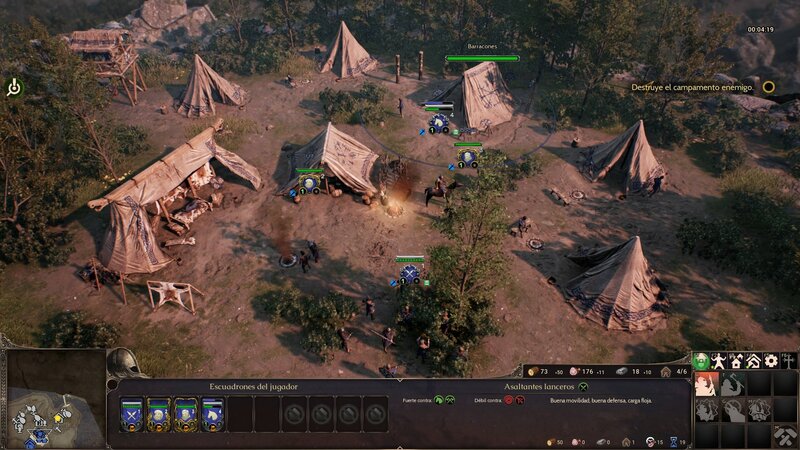 So, in the line of the fantastic saga of Relic Entertainment, in this video game of Destructive Creations we only manage a handful of squads of soldiers who will gain experience, and improve their team, with the course of the war … as long as they survive! And for this it is not enough to confront enemies over those who have an advantage, that is, soldiers who carry shields against archers, or lancers against cavalry, to give some examples, of course; we must also use the scenarios , look for in them that tactical advantage that makes the difference. And it is one of the great strengths of this new creation of the Hatred authors. You fell into the trap!The epic cinematic sequence with which the action of Ancestors: Legacy begins is, as well as spectacular, a brilliant declaration of intentions. Do you think you’re a hero? You will end up paying dearly. Maybe not at the beginning but, when you least expect it … zas! A spear will pierce your chest and goodbye very good, your story, sadly, will come to an end on a pool of blood. And basically it is what will happen with your squads if you do not take care of them, if you do not manage their skills with heads, taking advantage of every inch of terrain, because this is one of the great protagonists of the action. Attacking by surprise has an advantage, you will provoke more damage !, just as flanking enemies, or hitting them from the rear, will wreak havoc among their ranks. Morals will plummet, they will try to escape, and in that fight, you will have all the chance to win. Or otherwise! if you are the ones who have fallen into an ambush; if suddenly, by not paying attention to the playing field, you lose a platoon of soldiers, at a stroke, in a pit full of stakes. So cruel and ruthless can be the action of Ancestors, but it is also this tension that makes it such an exciting game. These illustrated sequences allow us to know the history of the four great factions that we lead in this strategy game. It is important as it said to face each squadron with the enemies that have the advantage, but once engaged in combat, it is also essential to take advantage of the skills of each platoon or, well, the heroes who accompany them. A war cry that demoralizes the rivals, or harangues that enhance the defense or attack of their own, can mean the difference between a crushing victory and the worst of defeats. 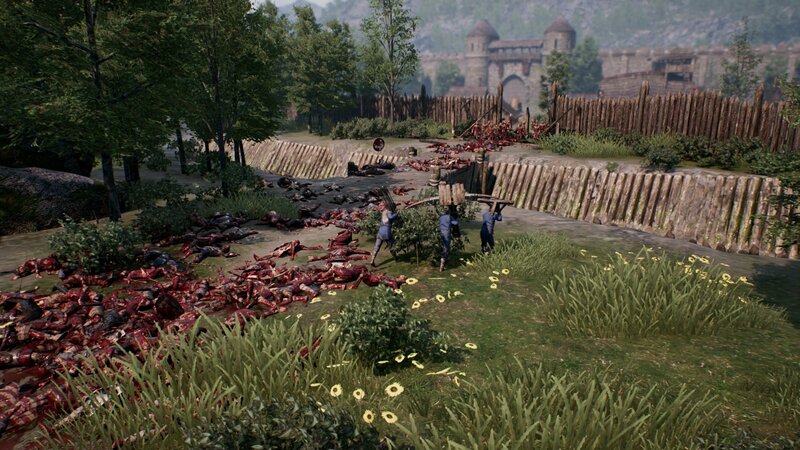 Without being an especially complex videogame, I really miss a greater variety of units, Ancestors manages to surprise with a fast action, intense, but also with much background strategy. The pity is that once they enter combat, you practically lose control of the troops. Yes, you can order them to retreat if you see that things are looking bad, although not all are willing to do it !, or adopt one or another combat formation, or get the archers to know how to defend themselves in the melee temporarily; but having so few units to choose from, it is not that you have many alternatives. With a view to premiering also on Xbox One, Ancestors: Legacy allows you to control your action efficiently using a command. Many of the battles are decided in the previous one, in the instant before ordering the attack, since it is at that point where you must take into account all the factors in play. The scenario matters; if you are covered, hidden, or sheltered in the woods. Also the rain, the rivers, which reduce mobility, or the night, which makes it difficult to detect enemies. In this situation, you can use torches, with the risk of giving away your position, but also with the good news of giving traps that could liquidate your hosts in a matter of seconds. Cursed traps !, but how well they work in the hands of a good strategist. Have you lost troops but not the entire battalion? In the command centersYou can re-train troops as long as you have resources like wood, iron and food. In this sense you can build buildings, not many, but enough to force you to manage your actions well: there are barracks for infantry, ironworks where you can create siege engines, firing ranges, temples with which to obtain certain tactical advantages from the hands of the gods , various technological improvements and water wells, which are essential to extinguish the many fires that enemies will cause in your territory. It’s another one of those things that I love about Ancestors: Legacy. Ancestors manages to surprise with a quick action, intense, but also with much strategy in the backgroundIt is impressive to see the Vikings going by knife to the helpless villagers, who will run from here to there while the flames devour their homes. Here the Destructive Creations team recreates itself in violence , showing even people engulfed in flames. The animations of combat, the hachazos in the head, the blows of sword, those spears crossing the heart of the enemies … everything in this video game is spectacular, in good measure thanks to the good use of the Unreal Engine 4, and more with its powerful soundtrack. What’s with the construction? You can erect several buildings, but you do not decide their location. You have to conquer territories and raise your command centers there. 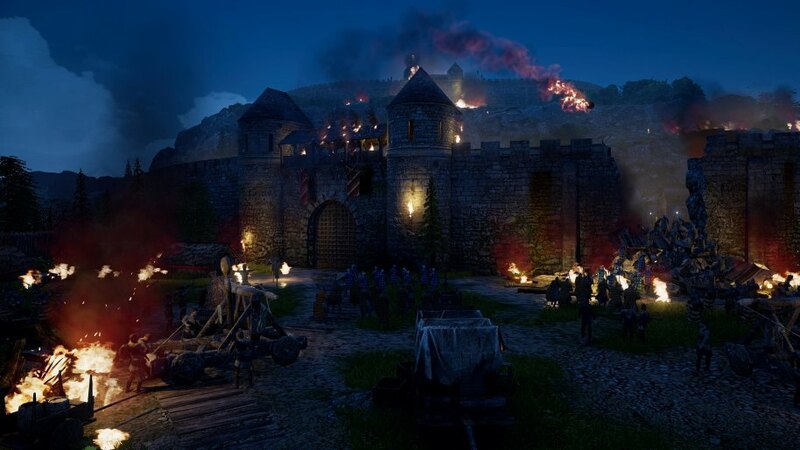 The interesting thing is that each zone offers different resources , and as each of the four factions requires more of some than others, when fighting, especially in the multiplayer , exciting duels are created by the control of these areas. To defend them you can build towers for the archers, in addition to using traps, but in the end it’s time to fight, and that’s how the game always keeps the pace of the action high. Building a camp will be essential to obtain resources and train new troops, with their corresponding improvements. To learn all these game mechanics and, of course, to dominate each one of the four factions in a row, a complete campaign mode has been created.for each of the armies. The missions here are interesting, although somewhat repetitive in the medium term, because they are not limited to pure and simple combat. We must use stealth, or fight in adverse conditions, protecting allies or surviving the threat of enemies in scenarios as hard as a stone bridge, with very little room to maneuver. Vikings and Anglo-Saxons have two different campaigns that show some of the most important battles of their time; Germans and Slavs for now have only one campaign each but, later, new stories will be offered to further deepen these factions. 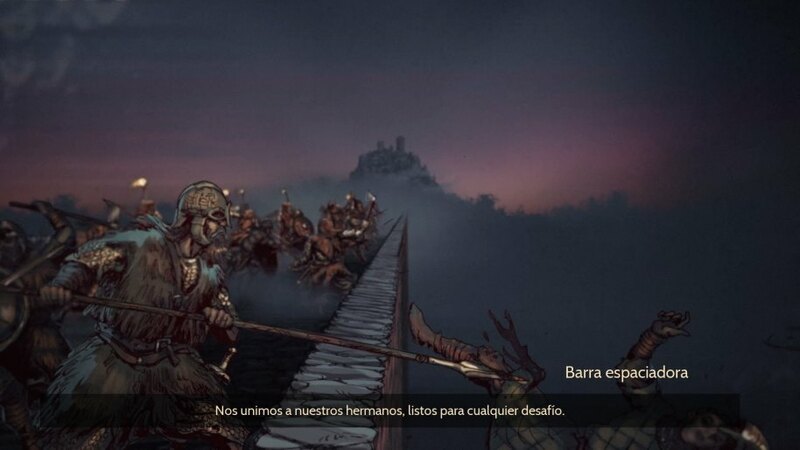 Therefore, taking into account that there is also a multiplayer and skirmishes against the AI ​​of the game, Ancestors: Legacy is a game that can provide many hours of entertainment.translated into Spanish ) and, as I say, in the end some missions can become somewhat repetitive, the experience is generally quite satisfactory. The authors of the controversial Hatred are victorious with their commitment to the strategy in real time, giving life to a fun video game, exciting in its action, which raises interesting tactical options. In front of Vikings, Anglo-Saxons, Germans or Slavs, in Ancestors: Legacy we will enjoy spectacular strategic battles in which, the most important thing is to get the most out of your troops. Do you accept the challenge? Whether alone or with its multiplayer mode, you will find here a game frankly recommended.